Eghosa had his legal education from Ambrose Alli University and Chapman Dale E. Fowler School of Law, California. 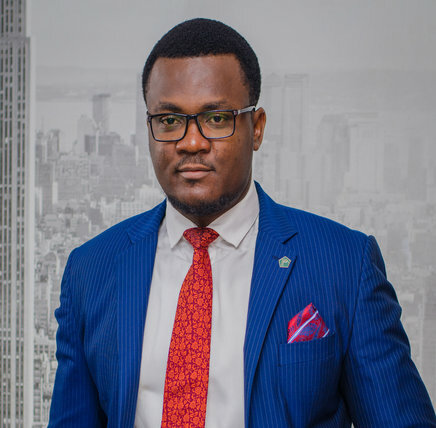 With combined legal experience in Nigeria and the USA, he understands the corporate climates in both climes and has consummated several cross-border transactions especially for multinationals. Eghosa worked as a Legal Consultant with the African Practice Group of StoneCroft Attorneys, Los Angeles, California. His expertise traverses business organization/reorganization, mergers & acquisitions, corporate governance and risk management advisory, international franchising, transnational contracts negotiations, Public Private Partnerships, Consumer Protection and Safety advocacy. On-going transaction advisory pertaining to the merger of two of Nigeria’s premier insurance broking companies with the potentials of changing the landscape of Nigeria’s insurance brokerage space. Advised on tax exposures, risk assessment and mitigation as well as end to end compliance with respect to a client's investment in a USD50,000,000 private modular refinery investment. Presently advising on a multi-billion dollars Coastal City which is an institutional Joint Venture with respect to a 250 acres mass of land along the mainland corridor of the Lagos Lagoon. Worked with Team that advised an American Hotel brand on the structure, franchising, repatriation of funds and importation of foreign technology for a USD$250 Million Five Star Hotel project in Nigeria. Advised a team of investors regarding the acquisition of a unique niche southern Italian fine dining restaurant in Lagos. Designed the corporate governance, risk mitigation and regulatory compliance architectures for a newly incepted Mining company in Northern Nigeria. Eghosa is an astute commercial negotiator; a member of the Capital Markets Solicitors Association; a certified mediator with the Center for Effective Dispute Resolution, United Kingdom; a member of the Nigerian Bar Association as well as the International Bar Association and an Academic Fellow at Chapman Dale E. Fowler School of Law, California.